Jill Salzman is currently growing her third entrepreneurial venture, The Founding Moms, the world’s first and only kid-friendly collective of monthly meetups for mom entrepreneurs. A graduate of Brown University and law school after that, she started Paperwork Media, a music management firm and her first entrepreneurial venture. (Her parents still wonder why she opted for the music business over the seductive and alluring career of a bankruptcy attorney.) She went on to create The Bumble Brand LLC to sell Bumble Bells, audible anklewear for the newest of human beings (she sold it in 2011.) Having built two successful companies, she launched The Founding Moms to connect mom entrepreneurs around the globe with one another. A sought-after speaker, Jill has been featured in national media outlets including the New York Times, CNN’s Headline News, People Magazine, The Chicago Tribune, Daily Candy Kids, Business Matters, WGN TV and WAHM Talk Radio. Her TED talk, Why Moms Make The Best Entrepreneurs, received rave reviews. She was recently named one of the Top 50 Women To Watch In Tech and Top 100 Champion Small Business Influencer. Jill has written regularly for NBC5’s small business blog, Inc. Well, and she’s been published in The New York Times and eHow.com. She released her first book, Found It: A Field Guide for Mom Entrepreneurs, published on January 12, 2012 through Piggott Press. Orbit Media Studios named Jill one of the Best Chicago Marketing Speakers in 2014. She’s a co-host on the most entertaining business podcast in the world, Breaking Down Your Business. And she launched a Tip Top Tips video series for entrepreneurs. In 2013, Forbes named The Founding Moms one of the Top 10 Websites for Women Entrepreneurs. In 2014, CNNMoney called Jill a “Mommy Mogul.” And in 2015, Forbes named The Founding Moms one of the Top 100 Websites for Entrepreneurs. She was dubbed a “ Cool Mom Entrepreneur We Love” by MSN Live, and she was recently named one of the Top 50 Women to Watch In Tech as well as a Top 100 Champion Small Business Influencer. 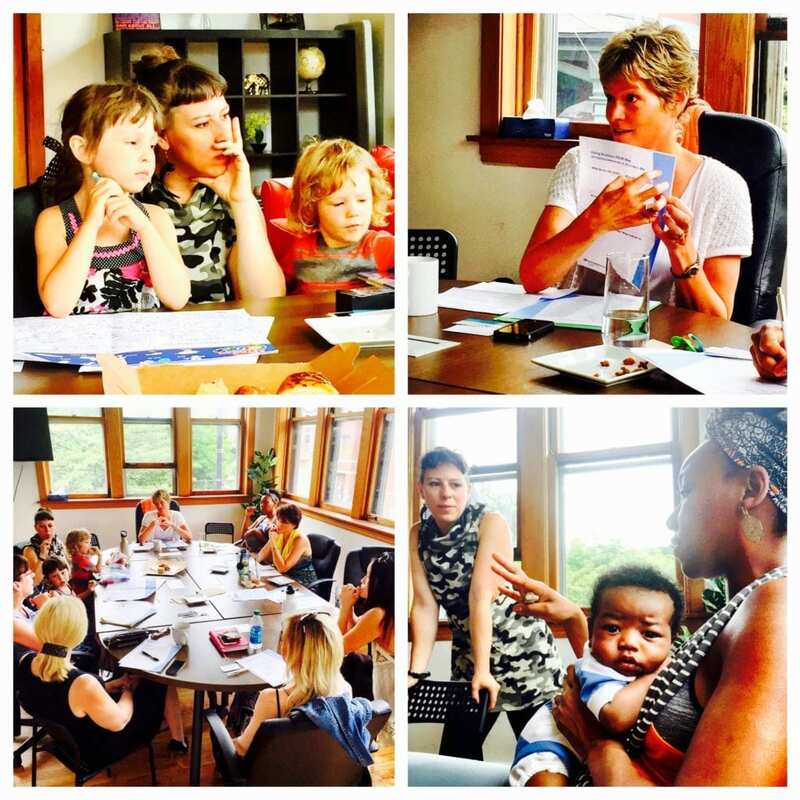 The Founding Moms® is a collective of offline meetups and online resources where mom entrepreneurs can exchange, connect and learn from one another. Incredible women living right in your backyard meet up to swap start-up stories, interact with renowned business experts, and build personal and professional connections within the ever-growing network of mom-owned businesses. In 2013, Forbes named us one of the Top 10 Websites for Women Entrepreneurs and then one of the Top 100 Websites for Entrepreneurs in 2015! I had 3 businesses, 2 kids and 1 desire to have a cup of coffee with fellow entrepreneurs who also happened to be mothers. So I set up a get-together through Meetup.com. I hoped that maybe four or five women would join me. Fast forward to now: we’re 12,000 mom entrepreneurs and counting. How did it get started? Honestly, it was by accident. Why are we growing so fast? Because we rock. Unlike many formal, stiff and expensive women’s-or-business-and-0r-entrepreneurial groups that I’ve attended, we’re real women making a difference and having fun doing it. We dress casually. We bring our noisemakers (babies, toddlers, kids) and discuss the ultimate balancing act. We talk about opportunities to help our business grow. We share tips, we listen to expert advice and we come back for more. We create relationships, promote deeper connections and engage in ways distinct from the daily online blur.